We take an awful lot for granted today. First employed in an Irish linen mill at the age of six. That's not a typo - age 6! Became a letter carrier at the pay rate of one shilling per week. That's 10 cents in today's coinage, although the real value equivalent would be in the order of $6. Factory worker - four pence per day. Moved to a new town; employed as factory worker at the rate of five pence per 12-hour day. Around age 13 moved from Ireland to Scotland and became a coal miner at eighteen pence per day. 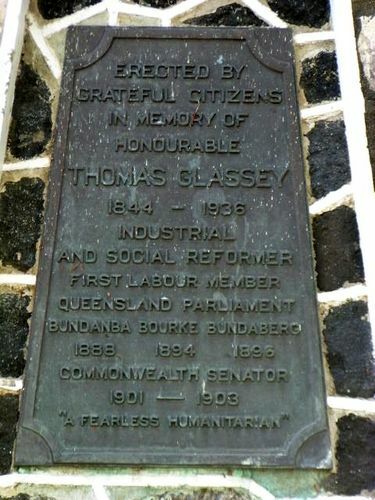 It comes as no surprise that from those humble and physically tough origins Thomas Glassey became involved in the trade union movement in Scotland and later in Queensland. He was blacklisted because of his union activism in Scotland, moving to Bedlington in England in 1867 where he was active in politics and charitable works, becoming a member of the local Board of Health in 1881-83. He emigrated to Australia in 1884, initially joining the post office then becoming an auctioneer, but coal mining was not far from his thoughts. He was approached to convene a meeting in 1886 that was the inauguration of the Ipswich Coal Miners' Mutual Protective Association of which he became secretary. 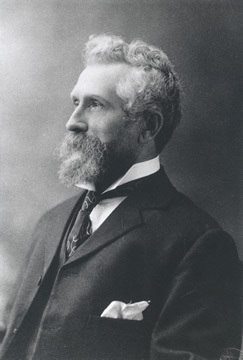 Glassey's wife died in 1899 and he lost his senate seat in 1903. He was unsuccessful at several further attempts at politics and he accepted a role as an immigration officer in England for Queensland in 1911-12. 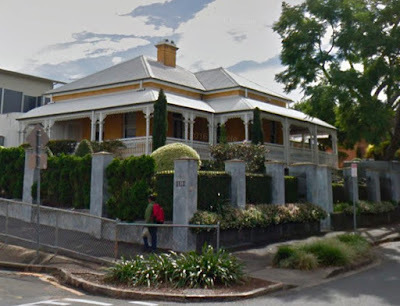 In 1909 he purchased a house named Ellersie in New Farm where he lived until he died in 1936, the property remaining in his family until the 1960s. The house is still standing next to New Farm State School and can be seen in the following photo. 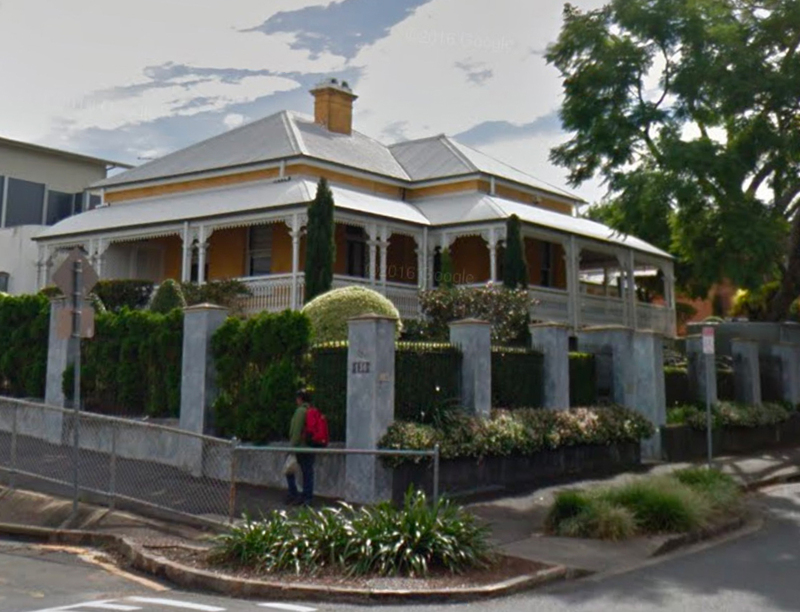 Ellersie, listed on the BCC Heritage Register, was built around 1888 in the Brisbane boom years and was possibly designed by Andrea Stombuco. In the final phase of his life, Glassey became somewhat estranged from the Labor Party as a result of becoming a director of New Aberdare Colliery Ltd from 1913, then joining the formation of the Queensland Nationalist Party in 1917. However in 1938 a monument to Glassey's service to the coal mining industry was erected in the heart of Ipswich mining territory on Limestone Hill.